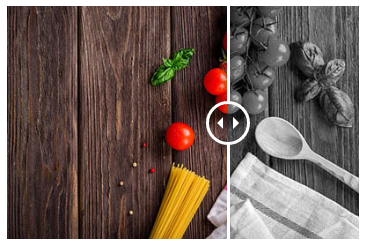 Here is a simple but handy Open Content customized template for display before/after images with a slider. These are good for renovation pictures, health and fitness, etc. 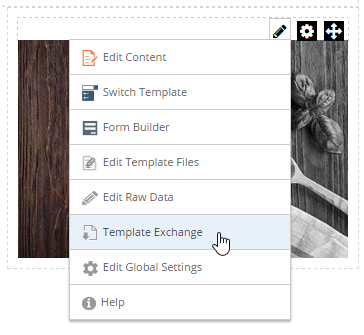 Once you have an instance of Open Content on your site, simply go to the "Template Exchange" link as show below and import the zip file. It includes the option to switch the orientation for the slider from horizontal to vertical. I was recently looking for a simple, flexible DNN HTML module. After trying a few other modules I stumbled across Open Content. I've been using it for about a month now and so far I love it. It's easy to use, easy for content editors to understand, and flexible enough to create anything you can think of for content creation. In the coming weeks I'll blog about the following custom content items I've created to help users create beautiful content. For more info on Open Content, check out their documentation. So you want to use the fairly new Let's Encrypt free SSL cert with your DNN website? Here are the steps to do that. It wasn't as easy as I thought it would be, but I'll save you the suffering. Before we get started, this assumes you have access to the web server and IIS. This likely won't be of any help if you're using a shared hosting plan. This was the first gotcha I encountered: During the command line setup and creation of the cert using Let's Encrypt Win Simple it has a step that after creating the cert it puts a verification file in your website directory (/.well-known/acme-challenge/file name). Well since that isn't a DNN page it causes issues with the DNN URL routing and throws a 404 error. So it's not able to verify the file, therefore you're stuck. This is likely not the best solution as AUM gives you cool things like pretty URLs (instead of site.com/contact you'll have site.com/contact.aspx). But if you don't care about that, this is the easiest solution. This is the preferred method, as it keeps your pretty URLs and gives you additional benefits. Though it is more involved. You should be all set now. We'll verify that later once we setup the cert. If you're planning on redirecting your site so all variations go to once place (i.e. www.domain.com, domain.com, https://domain.com, all point to https://www.domain.com) then do this. Set up 2 bindings in IIS for your site. One for www.domain.com and one for domain.com. We'll add in the https versions later. For this part, I followed this great guide by Rick Strahl and selected his first approach using Let's Encrypt Win Simple. Now you should see a list of the available IIS site bindings listed in the command window. Select the one for the site you're setting up (If you followed the prereq above, you should see 2 listings, one with and one without www. Pick either one and we'll run this process again for the additional binding). This is the step where we'll find out if our DNN setup was done properly. If all is well you'll be prompted with "Do you want to specify the user the task will run as?" question. If you get a red error about not being able to access the answer file (domain.com/.well-know/acme-challenge/filename) then DNN is still having issues serving that file. Copy the URL to that file and attempt to open it in a browser. If you're getting a 404 then you've got work to do. If you got through that will no errors, then you're ready for the next step. The process above should have automatically added bindings for https. Verify that you now have 4 total bindings and that the https bindings use the proper SSL cert (you should have 2 certs, one with and one without www). The certification renewal task is initially configured to "run only when user is logged on". Here's the easy workaround for that. While you can just leave it to run under the account the cert was setup with. I chose to create a service account to have it run under. You should now be able to navigate to your site and see that's it's using https. However, as it currently stands, it accepts domain.com, www.domain.com, https://domain.com, and https://www.domain.com. Let's tidy that up. Note: Make sure to replace "domain.com" above with your actual domain. There you have it, you should now be all set with a free SSL cert for your DNN site. Start Title with Keyword - your title is the most important on-page SEO factor. The closer the keyword is to the beginning of the title the more weight it has. Add Multimedia - Images, videos, and diagrams can reduce bounce rate and increase time on site. Use Outbound Links - Outbound links to related pages is a relevancy signal that helps Google figure out your page's topic. Usually 2-4 outbound links per 1000 words. Keep in mind sites you link to reflect on you. Keywords in First 100 Words - Your keyword should appear in first 100-150 words of article. Wrap Title in H1 Tag - Your page title should be in an H1 tag. Add modifiers to Your Title - Adding modifiers like "2015", "Best", "Guide", "How To", etc. help long tail ranking. Use Social Sharing Tools - While it doesn't play a direct role in your rank. It does help get more eyes on your content. Longer Content is Better - Content is king. Aim for at least 2000 words when targeting keywords. Sprinkle in Latent Semantic Indexing (LSI) Keywords - LSI keywords are synonyms Google uses to determine page relevancy. You can find these by searching for a keyword, then scroll to bottom of SERP and see "Searches related to" area. Internal Linking - When appropriate, add keyword rich internal links to other content on your site. Image Optimization - Make sure the file name includes your keyword and also include keyword in Alt text. Off-Page SEO Checklist - several topics discussed in length. Find proven infographic topics on Visual.ly by searching for a relevant topic, and sorting by number of views. Whether you're developing a new site, or enhancing an existing site, these are some of the best free SEO tools I've found. Google Analytics - If you're exposing your site externally, this is a must have. Google Webmaster Tools - This is another required tool if site is external. Bing Webmaster Tools - Microsoft's version of Google webmaster tools. It's optional, but recommended. Ubersuggest - Keyword research ideas. SEO Quake - SEO toolbar for Chrome. Obtains information about any site. Helps with keyword competition determination. Rich Snippets Testing Tool - See how Google views your structured data markup. Majestic SEO - Link explorer tool. Open Site Explorer - Link explorer tool. Ahrefs - Link analysis tool. Track keyword rankings for your site. Screaming Frog SEO Spider Tool - Desktop app that spiders websites links, images, css, scrips from an SEO perspective. Alltop - Good for finding topics for potential outreach opportunities (link building). Visual.ly - Get proven infographics for your topic. SEM Rush - View of the competitive SERP landscape. WhatsMySerp - Keyword rank checker. Infographic Generator - Free tool for creating infographics using templates. Piktochart - Free infographic generator.